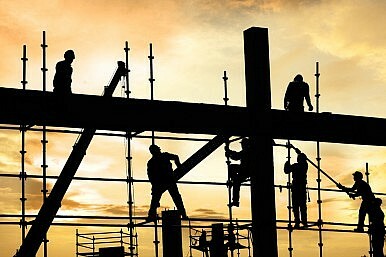 According to the Building and Construction Authority (BCA), a surge of public sector building projects could see a boost in employment for the construction industry this year. Major projects include contracts for the second phase of the Deep Tunnel Sewerage System, North-South Corridor, and Circle Line 6 amounting to nearly $24 billion, up from $15.8 billion last year. Desmond Lee, senior minister of state for Home Affairs and National Development, also said that the government has measures in place to help boost the sector, during his address at the recently concluded BCA-Real Estate Developers’ Association of Singapore seminar. He said that there is the formation of a Built Environment cluster sub-committee under the Council for Skills, Innovation and Productivity, according to the report by The Straits Times. Lee and CapitaLand chief executive Lim Ming Yan will chair the sub-committee and it is their aim to develop an industry transformation map for the sector. Firms should focus on two areas, he said – develop Design for Manufacturing and Assembly (DfMA) capabilities and to internationalise. Calling it a ‘game changer’ for the construction industry for its productivity gains, he said that DfMA technologies will be adopted on more government land sales site to ensure its sustained demand. "Companies that are prepared to change, innovate and transform to stay at the forefront of technological innovation, process re-engineering and productivity improvement are more likely to sustain their growth and competitiveness despite the headwinds under challenging economic conditions," added Dr John Keung, chief executive of BCA.